My family pooled together and bought this 1988 Silverton 37 and we are clueless. Does anyone have the manuals in pdf format. Need dashboard wire diagram. Need battery and converter information. The horn is failing, starboard neutral safety is failing to power ignition switch and starter. Some of the wires are loose and disconnected behind the dash. The level boat system does not work at all. Does it turn on at higher speeds or is there a switch to turn on the level boat mechanism? In most cases, a boat does not actually come with a manual. At best they come with a collection of manuals for each different, specific device that was installed in the bare hull. 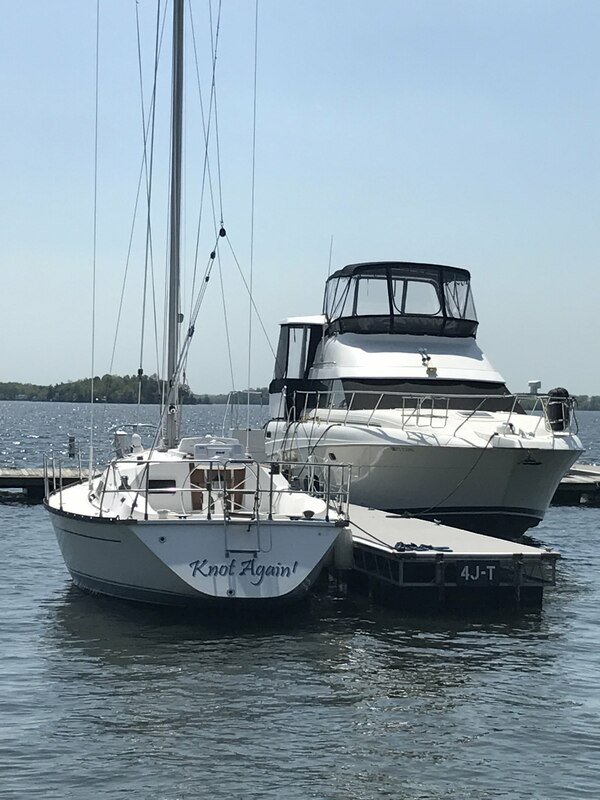 In a few cases, a "conceptual drawing" of the electrical system is provided, but it is not complete of specific to the particular boat you have. There are others, covering this and other boat topics. I am sure others can add to this. I would consider this just a start. Hve fun! Thanks Radioactive. I will track down those books. I did have a bit of a giggle when I read, "The horn is failing...". Apparently, they all do that. Mine was DOA on my factory fresh new boat. If your boat came from the factory with one of those compact "beepers" or other small ( slightly larger than your fist ) horns, I would suggest getting a REAL air horn. The replacement beeper would be an order of magnitude cheaper, but they are only loud enough to wake up the sunbathers on your forward deck. A good air horn ( usually $200 minimum ) will wake up the watch stander on the tug pushing the barges. Which is what you want it for. If it is an air horn already, then a) you may need to oil the compressor or check the function of the switch relay. Check the air compressor manual; some are finicky about mount orientation and will hard start if mounted wrong. You will spend a fair amount of beer time tracing the wiring. Take notes and TAKE PICTURES. This will meant that the second time you have a similar problem, you will have a useful wiring guide. Trumpet type air horns often fain because someone sprays water into them. Remove the back cover and dry the membrane out and they usually work. Thanks Bill and Bruce. I took both horns apart and the units dry and clean. Does not look like blow horn. looks like pure electric and I doubt electric is getting to the horn. we bought some horn in can thingy for a boat trip and it was so loud it almost shot me overboard. I am going to study that wire diagram. How does the boat leveling mechanism turn on at high speeds? There�s a guy who goes by VTBoater on this board who is very knowledgeable about this model. Try hailing him in Ask The Captain section. He doesn�t have an anchor, so you can�t PM with him. I assume you mean trim tabs when you say "boat leveler"/ They should work at rest or underway. I'm assuming it's a Bennet Trim Tab System. First, look at the reservoir to make sure there is fluid in it. If not, they call for ATF--any type. Next, make sure the breaker for helm electronics is turned on. You should find that in the power panel, 12 volt side. As far as an owner's manual, as stated above, they were very generic and covered all Silverton models of that era. Each piece of add on equipment came with it's own manual. You can probably find a schematic for your year and model over at the Silverton Owner's Club on line. The Manuals for Silvertons were very generic in the 1980's. I have a 1986 34C and it has information in it for the 31C, 34C and the 37C. Very generic. Thanks Planeguy, Gregory and Pilot Error. I will pursue all of this information.